Towers of Adventure is the ultimate adventure on the go resource. 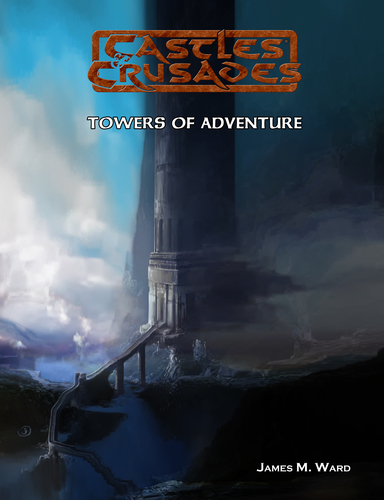 Designed by James M. Ward for the Castles & Crusades Role Playing Game, Tower of Adventures offers the Castle Keeper a marvelous set of interchangeable tower levels, rooms, monsters, NPCs, traps, and treasures. This book allows you to make literally millions of exciting towers for your players to explore. Treasures, tower inhabitants, and tower maps are at your fingers and so easy to use you can put together a complex adventure in five minutes or less.